That's a wrap on Rob Zombie's 3 from Hell. 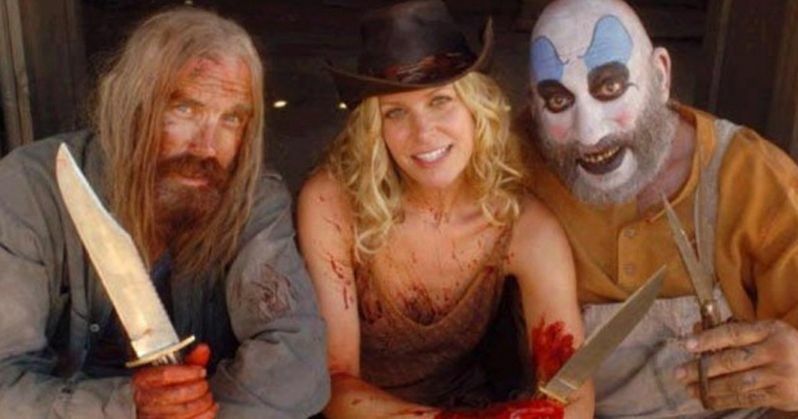 Almost exactly a month after it was announced that filming had started on the director's surprise sequel to The Devil's Rejects, the movie is in the can and one step closer to making its way to theaters. It's been 13 years since we last saw the murderous Firefly family, but it looks like we'll be getting to see their unlikely return sooner rather than later, as they really got the lead out in making this one. Bill Moseley, who returns as Otis in 3 From Hell, confirmed via a Facebook post that production has officially wrapped after only beginning last month. He made it quite clear that it isn't his filming that has wrapped as well. In his post, he details the final day of shooting and seems rather excited for the world to see what he's calling a Rob Zombie masterpiece. Here's what he had to say. "Exhausted but happy, Rob Zombie masterpiece, 3 from Hell, in the proverbial can (nowadays I guess it's in the hard drive). Great time last night, got all the shots we needed before we picture wrapped on the Valuzat movie ranch in dear old Santa Clarita, and now the trucks are packed and rolling, the actors all changed out of their wardrobe & makeup and off to new adventures, the sun's up and I'm heading down the highway, my spirit animals, the Doobie Brothers, filling my head and heart with enough rhythm and cheer to get me back home to Los Angeles. It'll probably hit me in a day or two what we did, the enormity, the intensity, but meanwhile, I'm going to eat a lot, sleep a lot, brush em like crazy (Beach Boys lyric). One thing I can say, when this movie comes out, your guys's mindsies are gonna be big time blown! Thanks for your thoughts & prayers (haha), Otis D"
This movie serves as the culmination of Rob Zombie's horror trilogy that started with House of 1000 corpses. There are precious few details about what we're going to see in 3 From Hell, but we know that both Captain Spaulding (Sid Haig) and Baby (Sheri Moon Zombie) are going to be back as well. And Danny Trejo is back as Rondo. Considering that it appeared very much like the murderous trio died in a blaze of gunfire at the end of The Devil's Rejects, it sounds like this movie will be heading in more of a supernatural direction. The Firefly family will presumably be literally coming back from hell for this one. There is currently no release date set for 3 From Hell, but with production wrapped, we should hopefully be getting some additional information in the coming months. Since Rob Zombie seems to be making quick work of it, don't be too surprised if we actually see this movie arrive before the end of the year. We'll be sure to keep you up to date as more information, such as when we might see a trailer, are made available. You can check out Bill Moseley's Facebook post for yourself below.